Danielle Rothweiler is a wedding-marketing expert with Rothweiler Event Design in Verona, N.J.
Island Bridal Boutique manager Lexi Carpenter (center), pictured with Dana Carpenter (left) and Tammy Hamby (right). Razil Owen, owner of Olivia Grace Bridal in San Antonio. Every bridal retailer understands the important of maintaining a strong social-media presence to promote business and attract potential new customers. To make the most of social-media networks, it’s crucial that the right people are seeing and interacting with your posts. “The first step is to make sure you are attracting your ideal client, because your ideal client wants to become a paying customer,” says Danielle Rothweiler, a wedding-marketing expert with Rothweiler Event Design in Verona, N.J.
To find out if your ideal client base is seeing and interacting with your social-media posts, check your social-network analytics. For instance, on your Facebook business page, go to “Insights” on the top menu. From here, go to “People” in the menu on the left. On this page, you can see several key analytics regarding your fans, including a breakdown by gender, age and city location. These are crucial for helping determine if you are reaching your potential customers. Brides are inundated with slick professional advertising from bridal magazines and the social-media accounts of wedding dress designers, so set yourself apart as their local bridal salon by creating authentic content reflecting who your store is and what you have to offer. Rothweiler advises giving social-media fans a behind-the-scenes look at your business by taking brides on a tour of the salon in an Instagram Live or Facebook Live video, which is advertised in advance on social media. “When you advertise it, give brides a reason to watch, like a gift offer at the end of the video,” she says. 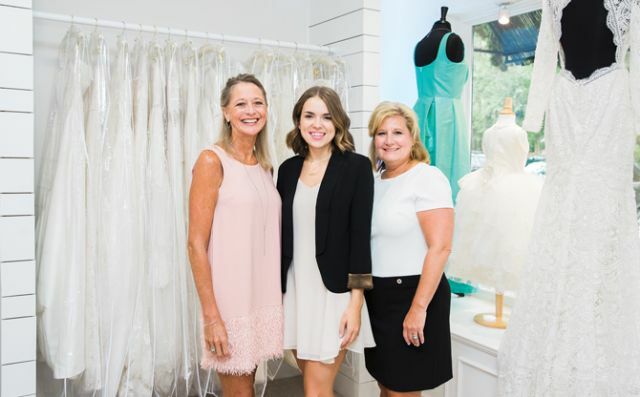 At Island Bridal Boutique in Saint Simons Island, Ga., manager Lexi Carpenter loves giving her social-media fans a peek behind the scenes. To accomplish this goal, she posts photos and videos of her staff working behind the scenes, shares fun facts about her staff members, and shows photos of her staff’s pets. Another way to be authentic is by skipping the dress designers’ stock photography in favor of pictures featuring real women. When advertising your salon on social media, it’s easy to get caught up in promoting what you want to sell rather than what potential customers want to see. By looking at social-media content from the bride’s perspective, you have a great opportunity to convert fans into paying customers. One way to capitalize on this point is by following content that is trending on social media. For example, explore the trending section of Pinterest to find out what dress style brides love right now. Carpenter takes this approach one step further by trying to reach all women, not just brides. She often does giveaways via social media that have provided great return for her store, but she doesn’t limit her giveaways to one category. To determine how effective your social-media posts are at turning fans into paying customers, you must track how brides located your store. “It’s essential to find out from every single bride where she found you,” Rothweiler says. There are a number of ways to track your conversions: Asking customers directly or on information forms, checking your social-media network analytics, and monitoring direct messages are just a few options (see details in sidebar, Tracking Social-Media Conversions, p102). Trying to peg the ideal conversion rate for an effective return on your social media, though, can be more difficult because what is a good rate for one store may not be realistic for another. According to Rothweiler, a realistic conversion rate would be between 20 and 25 percent of every 1,000 followers you have per platform – that’s for every 1,000 followers you have on Facebook, every 1,000 followers you have on Instagram, and so on. “This does not happen overnight, though, and it typically can take between two and four months of consistency and posting the correct way before a bridal salon sees any results,” she says. 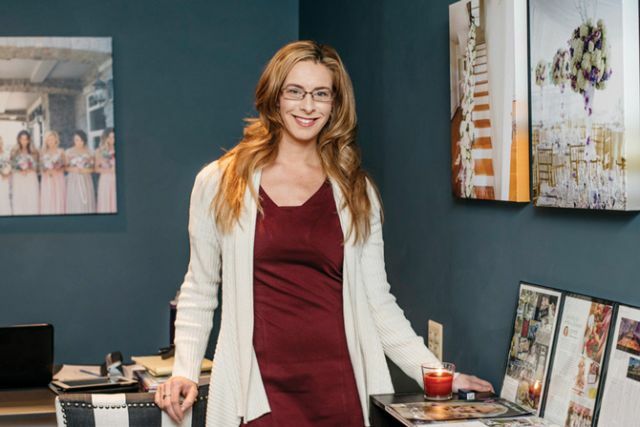 At her store, Carpenter bases her ideal conversion rate on the amount she invests in social-media advertising. Owen, on the other hand, has a different view. The bottom line is you have to determine what conversion rate provides the best return on investment for your bridal store. This will take time as well as a trial-and-error approach; don’t be afraid to experiment to figure out what works best. As often discussed in VOWS, creating the right content is essential for a strong and successful presence on social media. One way to do that is by planning out your social-media calendar, which is simply a schedule of content you plan to post each day. “Look at what’s happening in the city, holidays and special times of year that allow you to capitalize on what’s going on and make your posts timely and effective,” Owen says. Examples include red-carpet season for awards shows (which dresses would make good wedding, bridesmaid or MOB dresses? 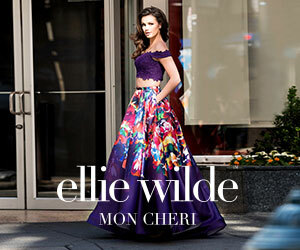 ), bridal market and New York fashion weeks, and, of course, celebrity weddings (even local celebs). 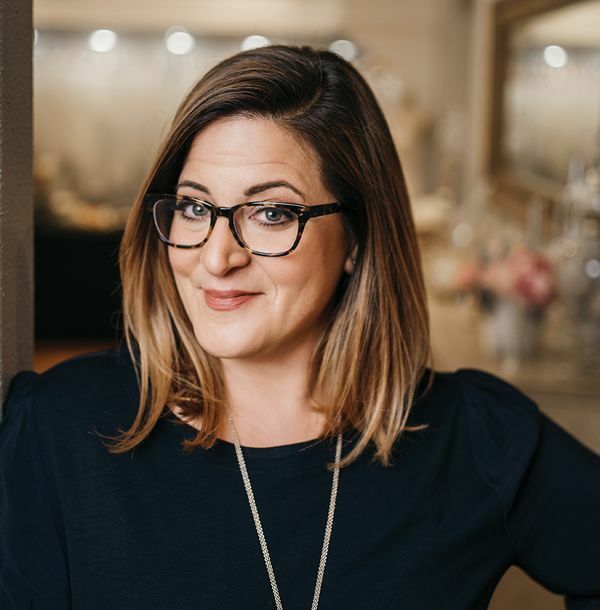 Take the recent royal wedding: Carpenter made the most of the interest around this event by doing a Royal Wedding Highlights live video with a local wedding planner to talk about what they loved and didn’t love about Meghan Markle and Prince Harry’s wedding. Other items to include in your social-media calendar might be trunk show announcements and promotions, annual sales (i.e. 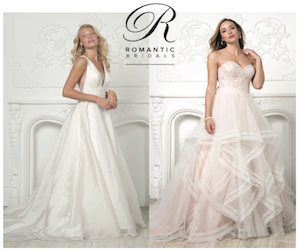 National Bridal Sale Event, Black Friday, etc. ), and regular posts capitalizing on popular hashtags (#weddingwednesdays, #weddingideas, #weddingparty, etc). Building a strong following on social media is a key part of every successful bridal salon’s business plan. However, it’s imperative to do all you can to not only attract more social-media fans, but to also turn those fans into paying customers. By taking the five key steps outlined above, you can accomplish this goal. 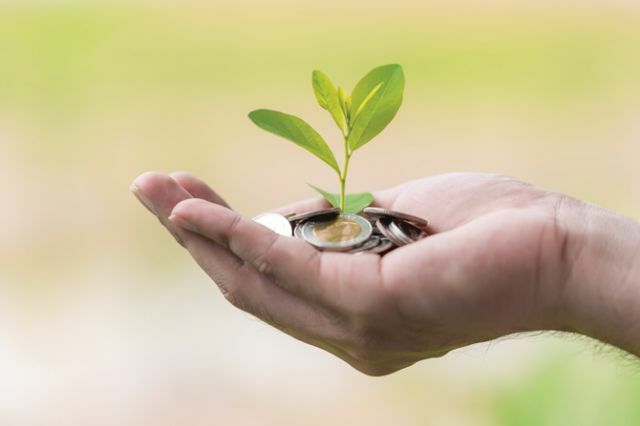 As a result your business will continue to grow and thrive!